Seven Metro Nashville Public school competed to make an impact on their environment by collecting and recycling plastic bags. 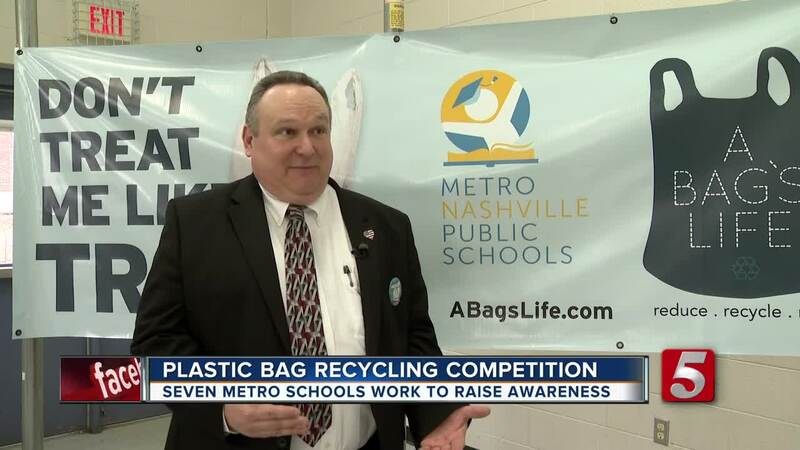 NASHVILLE, Tenn. (WTVF) — Seven Metro Nashville Public school competed to make an impact on their environment by collecting and recycling plastic bags. During students' holiday break, they competed with other schools to gather the most bags. And the Principal at Westmeade Elementary School said the plastic bags don't work with regular recycling, but pulling them out can make a huge difference. The winning school will win a park bench for their school, made from recycled plastic bags. The students find out who the winner is on on Earth Day Monday, April 22.